The International Committee is happy to report that the first teacher training sessions were conducted for representative teachers from all 60 schools on September 22 and October 10. Full implementation phase will take several months. Local Rotarians and parent groups will be involved in monitoring implementation. An evaluation study of the impact of the technology on student learning will also be undertaken. 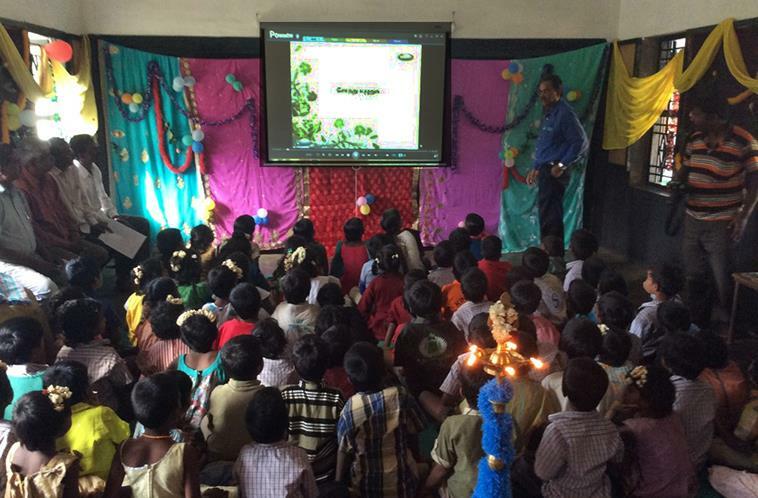 Interim reports to TRF will be made by the Primary Host Sponsor at the district level in India. We will be sharing such reports. In our grant application to the D-6270 Global Grants Committee in August 2014 for some DDF dollars for our Global Grant Application to The Rotary Foundation, we [Barry James, Doug Jacobson, Tom Pyne] requested $12,000 and were allocated $10,000 which was the maximum allowable under current district policy. The commitment had to be made prior to our knowing whether our application would be approved. However, actual expenditure of those dollars was contingent on grant approval. As we look forward to applying for another global grant sometime in the future, say in the 2018-2019 Rotary year, it is important to remember that the amount that will be available to the District in District DDF dollars in that year will be a function of the amount contributed to TRF this year in 2015-2016. A certain level of contributions to TRF is required for a club or District to be eligible to apply for a Global Grant. Happily our Elmbrook Rotary Club and our District had no problem in qualifying in 2014-2015. Help assure that this will be the case in 2018-2019. 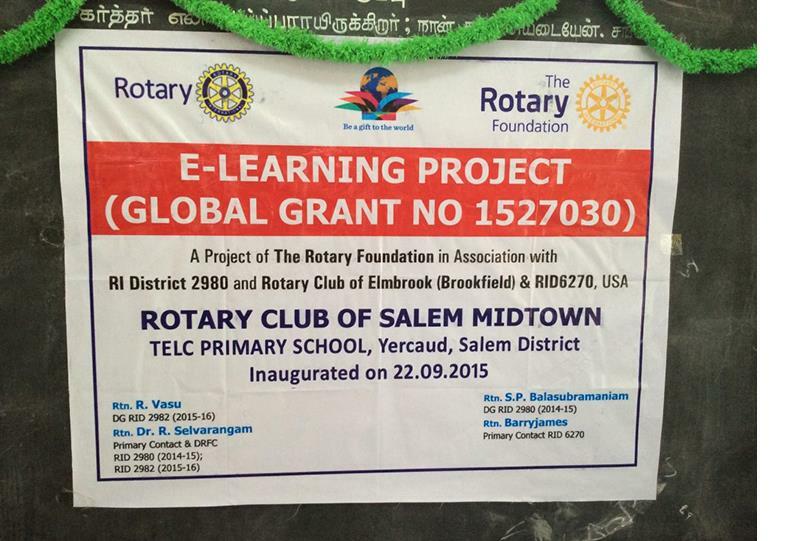 On behalf of the beneficiaries of this grant including thousands of kids in those 60 schools in India, a special word of thanks and appreciation is in order for all of those Elmbrook Rotarians and Rotarians across D-6270 who made a donation to The Rotary Foundation back in 2012-2013 through participation in the $100 EREY Program - $100 Every Rotarian Every Year. If you have not been participating, please consider it now because of how much this program can payback to benefit our club's efforts. The total amount of those donations back three years ago in 2012-2013 was a key factor in determining the available DDF dollars flowing back to D-6270 in the 2014-2015 budget year ~ the year of our global grant application. There is a three-year time lapse in the recycling of funds back to the districts. It is a case of only being able to reap in 2018-2019 what we sow in 2015-2016. Our District had an approximate DDF budget in 2014-2015 of $50,000.